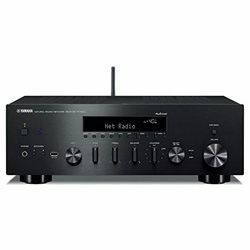 This middle-class 5.2 receiver has the up-standard physical parameters. 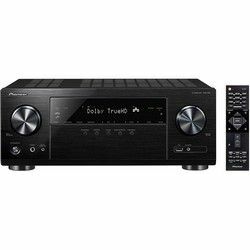 It assumes surround sound support, while not possessing the popular decoders (like Dolby Surround or DTS:X). 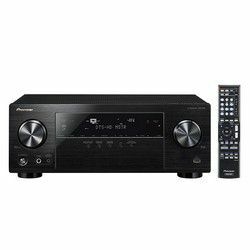 Learn more in the Pioneer VSX-830-K review! This model has very classy design, with solid-looking front, and large informative panel. Controls feel sturdy but responsive. The rear part has a nice onset of HDMI and AV inputs and clear labeling. The remote contains all the needed buttons with comprehensive inscriptions. The unit boosts the output up to 140W per channel. The variable impedance (6-8 Ohms) allows connecting different speakers. It plays the majority of sound formats and enables surround sound in the headphones. It supports 4K, while only two HDMI ports are HDCP 2.2-certified. This model has an optional OSD overlay which is great for changing volume or settings during playback. 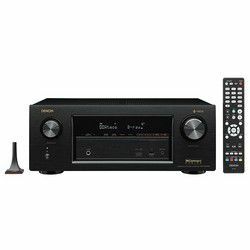 Pioneer VSX-830-K specs provide many options for comfortable music listening and movie watching while lacking some essential things like Auto Power Off. It enables good crisp video in UHD and HD formats, and the scaling is perfect, with no stretched pixels visible. Switching between inputs is easy and super fast both from the remote or my iPhone. The AirPlay support is solid and well-designed, providing the full information and comprehensive control over the playback. The sound has a standard 24 bit / 192 KHz characteristics and quite high signal-to-noise ratio of 100 dB. This serves for clear mids and slightly blurred highs. Meanwhile, the dedicated subwoofer outputs and separate sub’ equalizer boost the bass immensely. The subwoofer’s parameters can be tweaked in frequency, impedance, or others to ensure clean no-phase very powerful bass. The headphones’ sound is a quality featuring no interference even at the max volume. The receiver has the standard number of inputs and outputs while featuring all types of wireless ones. The built-in streaming apps (Spotify, Pandora) work seamlessly, providing fast and quality content transmission along with full on-screen data. The smartphone control app is simple and handy, while slightly limited in controls (no input assignment is supported). Plugging the receiver and adjusting the settings is a cakewalk due to well-designed UI and comprehensive AVNavigator Tech. It automatically spots all the needed connections and eases up the setup. The speaker’s calibration can be performed manually via remote or entrusted to the automatic MCACC Pro calibration system. 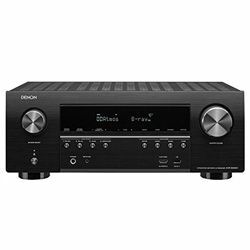 Pioneer VSX-30-K is a perfect AV receiver for stereo sound systems, providing multiple equalizations options for each audio component. It supports 4K and many popular video codecs serving for bright and crisp picture. 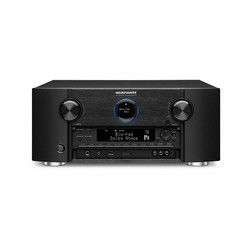 The user-friendly setup and controls make it a perfect choice for not technically inclined audiophile.